You may remember these two from their stunning engagement shoot in Denver, CO with our Associate Photographer Brooke. Well, Brooke captured their wedding that somehow beat those incredible Denver shots! Zach and Coty flew from Colorado to have their ceremony at Coty’s parent’s home in rural Minnesota. Having their day at a place that is familiar, the two were able to decorate the venue in a way that was entirely theirs. 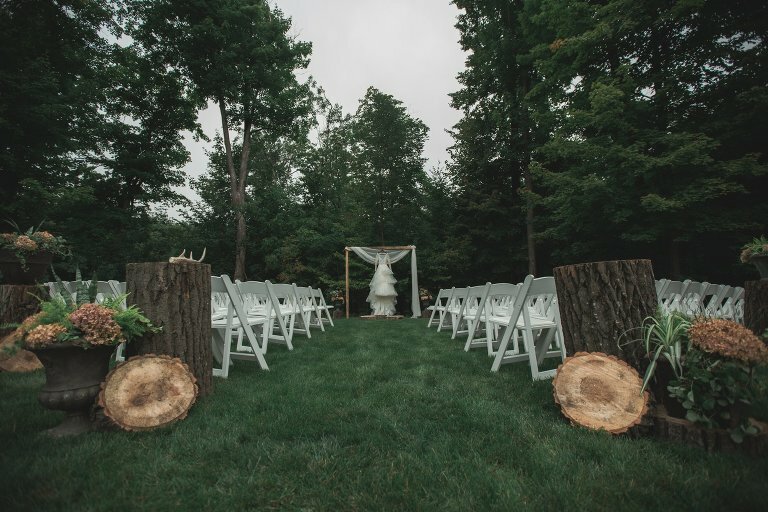 Their details placed an emphasis on rustic elements, their ceremony and reception studded with antlers and cross-sections of trees, with a stunning Kransekake as their wedding cake. Zach and Coty perfectly blended their own style with tradition. 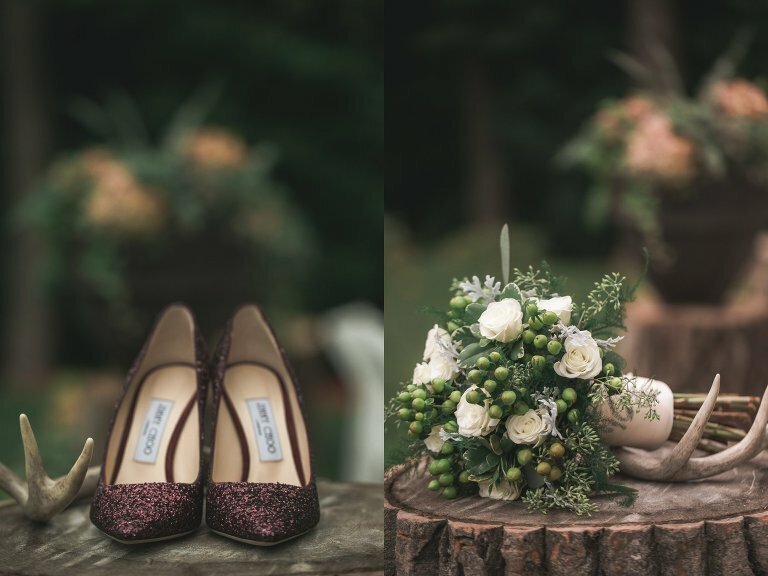 Coty is a bride who can rock red Jimmy Choos and dark lipstick, but also wore her veil while walking down the aisle, something that you don’t see many brides do any more. 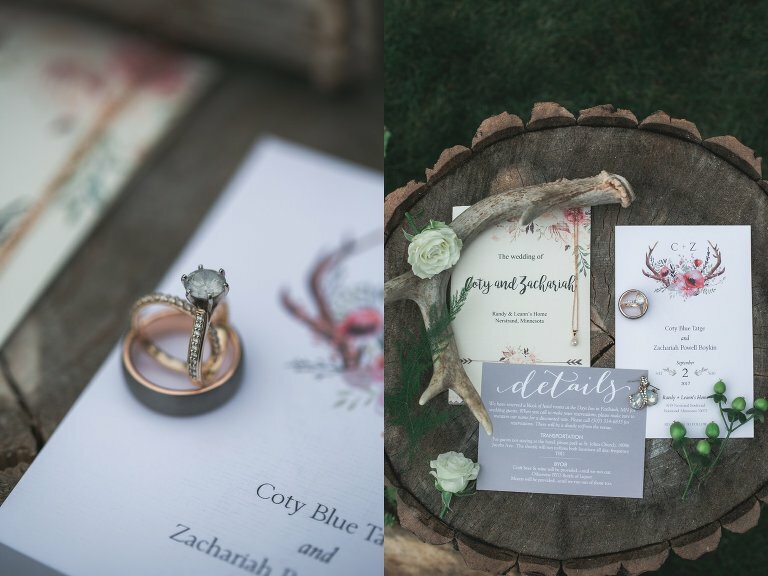 While we could talk about the connection between Zach and Coty for hours, one that isn’t always focused on is the bond between the bride and her father. Coty’s father was a blast, fully enjoying his daughter’s big day. He took not one, not two, but three shots during his speech. But that’s not the most noteworthy part of his speech. While he spoke, you could see the love that he has for his daughter and the respect that he holds for her. He spoke to Coty’s time in college in Wyoming and her independent nature, which is perfectly complemented by Zach’s good-natured demeanor. Needless to say, everyone was at least a little misty-eyed during Coty’s first dance with her father. The joining of Zach and Coty, and their families, was a truly illuminating thing to watch. Seeing two people so in love, and their families so in love with them together, is a beautiful thing. With such intense love, two people are able to melt into each other and feel true comfort, which is obvious in how these two photograph together. 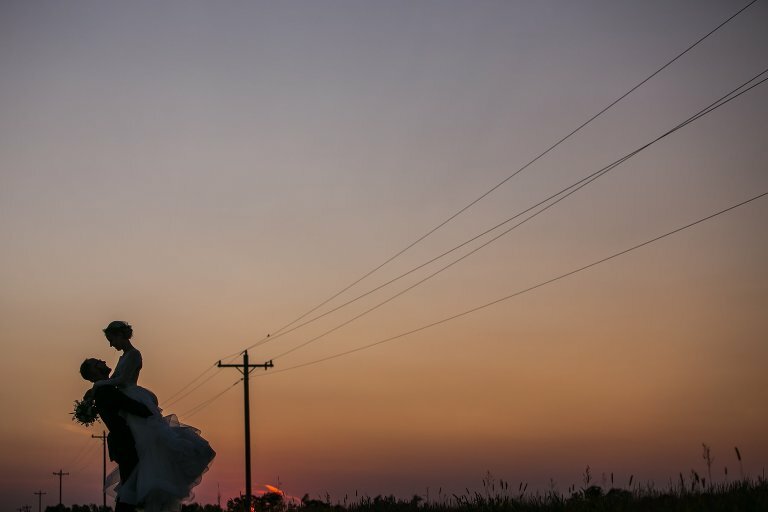 Zach and Coty’s sunset shots are especially jaw-dropping. Being able to pull them away from their reception, once all of the day stress had melted away, allowed for some of the most honest, raw moments you can capture. These two were a joy to photograph, and we don’t doubt that Zach and Coty will be each other’s joy for the rest of their lives.